Capsilon has expanded its executive team with the appointment of Sumit Guha as Senior Vice President of Capsilon IQ and the promotion of Steve Viarengo as Senior Vice President of Digital Mortgage Solutions. Guha joins Capsilon’s executive team at a remarkable time in the company’s growth. 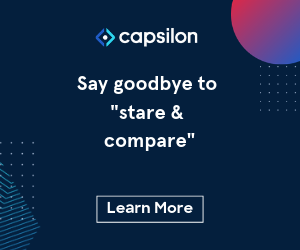 Since joining Capsilon in 2017 as SVP of Product, Steve has been instrumental in driving Capsilon’s evolution from an enterprise-wide document management platform to an end-to-end mortgage automation engine. In his new role, Steve is now leading product development and engineering for Capsilon’s newly formed Digital Mortgage Solutions division where is he focused on building a series of innovative new digital mortgage applications that solve key pain points in the mortgage lifecycle. Based in Capsilon’s San Francisco headquarters, Guha is tasked with serving Capsilon’s current customers and driving ongoing enhancements to the Capsilon IQ platform. Capsilon IQ captures and perfects mortgage data from any source, eliminating manual data entry and comparison, and enabling automation with complete, accurate information. Before joining Capsilon, Guha served as Vice President of Product & Engineering at Duetto, where he led the company’s transformation from supporting a single product to a platform supporting four products and an analytics stack. Guha has helped scale several successful startups including Zuora, DemandTec, NewsCred, and Duetto. Guha holds a Bachelor of Science degree in physics from the Imperial College London and a Master of Arts from the University of California Berkeley. Capsilon, a provider of digital mortgage solutions, has partnered with Blue Sage, a browser-based, end-to-end mortgage platform, to automate key steps in the loan origination process. As a result of the partnership, Capsilon’s patented document recognition and data extraction technologies have been integrated into the Blue Sage Digital Lending Platform to help mortgage lenders of all sizes drive down origination costs and improve customer satisfaction. The integration with Capsilon is made possible through Blue Sage’s unique application programming interfaces, or APIs, which make interoperability between third-party technology providers completely seamless. Capsilon IQ captures and perfects mortgage data from any source, eliminating manual data entry and comparison, and enabling automation with complete, accurate information. The Capsilon IQ platform helps lenders to speed up loan intake and reduce the manual work typically associated with handling inbound documents and data, so they can redeploy staff on more valuable tasks. Capsilon, a provider of digital mortgage solutions, announced today the beta launch of Capsilon Digital Underwriter, a comprehensive suite of fully integrated cloud-based digital mortgage applications focused on automating the underwriting process. Capsilon Digital Underwriter is being built in collaboration with Home Point Financial and will help lenders and investors make rapid, informed loan eligibility decisions with perfected data. Capsilon’s latest digital mortgage solution increases underwriting capacity and minimizes risk with tools that calculate income, analyze credit, and assess eligibility based on business rules. Capsilon Digital Underwriter runs on Capsilon IQ, the digital mortgage platform that uses machine learning and natural language processing (NLP) to capture and perfect mortgage data, ensuring underwriting rules are only applied to complete, validated information. The source of truth for each data point and its associated evidence are connected with the loan record, maintaining a digital chain of evidence for each decision. “Capsilon is uniquely positioned to solve the underwriting problem with advanced technologies,” said Bill Shuler, Chief Information Officer of Home Point Financial. “You can’t automate underwriting without trusted data. Capsilon elegantly combines the ability to capture and perfect mortgage data with robust automation capabilities. Capsilon has been a great partner to Home Point and we’re excited to collaborate with them on this strategic initiative to digitize the underwriting process.”Capsilon Digital Underwriter is one solution being launched as part of a broader company initiative to develop solutions that solve key points across the mortgage life cycle. 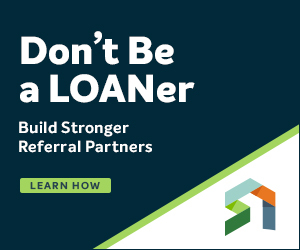 As part of this initiative, Capsilon will continue to partner with leading lenders, investors, and servicers to help drive the industry’s digital transformation, creating better experiences for customers and partners while delivering a more-efficient, lower-risk mortgage loan. We have experienced a fundamental shift in technology during the past two decades. In both our personal and our work lives, there is a whole new set of technologies available and companies are taking advantage of these technologies to gain advantages in their markets. In fact, individual and enterprise access to numerous new tech tools is the new normal. According to a McKinsey study, more than 90% of enterprise companies will adopt intelligent process technologies to turbocharge their operations by 2020, creating an Intelligent Work Experience for employees that can significantly drive down costs and increase their productivity.Adopting new technology is the only way for mortgage companies to compete over the long term by shifting from people-powered business to a software-powered business. 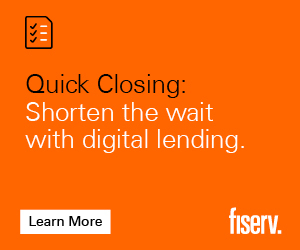 You’ll see solutions that will help close loans faster, at lower costs, while speeding up cycle times, and providing better experiences for customers and employees. Innovation in consumer portals have helped improve the online application process over the past several years, but the costs of originating a loan continue to skyrocket, and the length of time it takes to close is still not fast enough. Big data and AI can provide significant advantages for mortgage companies that harness technology’s power to make employees more productive. Data is at the heart of getting a mortgage. The borrowers apply for a loan by providing information about income, credit, and assets. The lender then uses this collection of data to make a decision about the loan. When the loan closes, the lender sells or retains the loan in the portfolio. The loan data could subsequently be leveraged to drive repeat business at a later time. It is worth noting, however, that while “big data analytics” has suddenly become a go-to catchphrase for many in our industry, our own experience in the space suggests that the challenges associated with implementing and realizing value from big data are more subtle. For the past 14 years, we’ve been helping clients collect, validate, and leverage the data to drive workflow automation and improve productivity in the mortgage process. We have an intimate knowledge of the pain points in this process. There remains a series of key friction points that must be addressed for the mortgage process to truly be reinvented, and we’ve been innovating on our clients’ behalf to improve the end-to-end mortgage experience for every user who touches the loan. Creating an intelligent process leveraging data and AI helps mortgage companies get leaner, faster, and more profitable. As one of the most complex, largest financial transactions most people make in their lives, getting a mortgage requires the gathering of information, validation and coordination with multiple parties to make a decision, while also meeting multiple regulatory requirements. 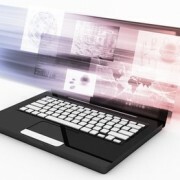 Many legacy systems are outdated and face several big challenges in the race to modernize. Those who succeed will master the harvesting and delivery of relevant data at the right time so every user in the loan process — borrowers, loan officers, underwriters, processors, closing specialists, and delivery — are provided with the tools they need to manage their workload easily and make decisions quickly. This will remove friction in the loan process that bogs most lenders down operationally. With an intelligent document and data management system that provides user-friendly tools to empower its employees, lenders can have confidence in their data quality and can operate with full transparency to accelerate decisions and dramatically increase productivity and lower costs — all without having to rip out existing infrastructure for rapid deployment. For example, using a combination of business process improvements and next-generation tools can remove repetitive, replicable, and routine tasks, creating workflow automation with high accuracy rates. Up to 80% of manual processes could be eliminated without replacing existing operating systems, driving significant improvements across nearly every function. Data-driven technology that creates an intelligent work experience increases employee productivity with automation while helping lenders scale quickly and do more with the same number of employees. Moving from a labor-intensive human powered process to a software-powered model also lowers risks and costs, helping companies survive and thrive in the new era of technology. At the end of the day, the key to innovative technological innovation is about making things easier for our most valuable assets — humans. 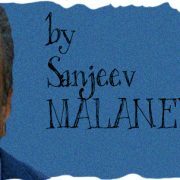 With more than 17 years as Capsilon’s Founder and CEO, Sanjeev Malaney has proven himself as a visionary, a pioneer and a leader when it comes to the quest for transforming the mortgage industry. Capsilon builds intelligent tools that transform the way mortgage companies work. The Capsilon platform uses data and AI to radically improve workflows, automate manual tasks and enable smarter decision making at every step, boosting productivity across all mortgage functions. 15% of all mortgages in the U.S. touch Capsilon’s platform. 3 Approaches For Lenders Adapting The Next-Gen Mortgage Model: Build. Buy. Renovate. The mortgage industry is going through a technological transformation. Gone are the days of paper applications; today, 43% of mortgage shoppers start their applications online. Lenders have been racing to modernize their front-end portals to provide a digital experience for their tech-savvy customers — and those tech-savvy millennials comprised 91% of the home purchases in June 2018, according to the Ellie Mae Millennial Tracker report. However, while lenders have made significant investments to “improve the customer experience,” this hasn’t fundamentally improved the end-to-end process process. Closing a loan still takes an average of 40+ days, and costs continue to rise. Some savvy lenders are now evaluating automation, which speeds up closings and drives down origination costs. Focusing on improving back-end operational efficiency will take the modern mortgage experience to the next level for both borrowers and employees. Choosing the right solution to drive operational changes is not always straightforward, but waiting to modernize and making the wrong move can be costly. To name just a few casualties of this attitude, remember Blockbuster, Dell and, more recently, Toys ’R’ Us? Based on what we’ve seen with clients and industry leaders, we believe there are three main options open to lenders and homeowners alike. Here’s an interesting way to think about them: When you know your home no longer meets your needs, your choices are to: build a new house, buy a different house or remodel your existing house. So what does that mean for the next generation of mortgage platforms? Much like a homeowner who’s building a house, some lenders might have a specific vision that none of the solution providers can meet. So one option is to build your own solution. You start by drawing up a blueprint, getting it approved, hiring the contractor and then building your home piece by piece and step by step. The upside is that you get what you really want — a custom solution — but it could be costly and will take longer than buying something that already exists. Still, building your own solution could be the right decision if you have the time and the resources to invest. Keep in mind that when you build a home, having a strong foundation is critical. In this example, the strong foundation for your mortgage loan solution would be data. Data is at the heart of getting a mortgage. The borrowers apply for a loan by providing information about their income, credit and existing assets. The lender then uses the data collected to make a decision about the loan. When the loan closes, the lender sells or retains the loan in its portfolio. 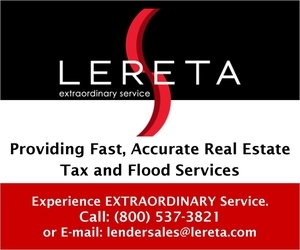 The loan data could subsequently be leveraged to drive repeat business at a later time. Many legacy systems face issues of multiple sources of data, lack of transparency, and difficulty in accessing that data for insights. Like having a strong foundation for a house, a data-driven solution is core to building a modern technology platform because it gives you confidence in data quality that allows you to accelerate decisions, speeding up the transaction process. And you don’t have to do it alone. General contractors bring in experts like electricians to help them build components of the house. Look for solutions to help ingest data, map data for accuracy, and provide tools to make the data accessible. 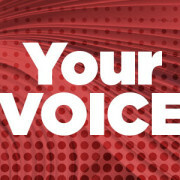 The second option is buying a different house — for example, another existing home in a neighborhood with better schools. It may be easier than building your own, with faster speed to market, but with an existing house, you don’t have the opportunity to customize each room. You may not like the layout of the kitchen even though you got the three bedrooms you needed. >>Most important of all: Whether this single solution meets your short- and long-term business goals. Like buying an existing home, you might just have to live with the awkward kitchen layout, but there is also a third option to consider. That third option is to renovate. Let’s say you bought a house built in the 1950s. The kitchen is outdated, the bathroom has a pink sink, and the whole place needs a fresh coat of paint. Renovating is like a makeover of your existing infrastructure. In my experience working closely with mortgage companies for the past 15 years, we’ve been building technology that leverages data to address major pain points in the end-to-end loan process. By automating up to 80% of the manual, repetitive tasks throughout the loan process, lenders are able to create an intelligent work experience that significantly increases employee productivity, drives down costs, and reduces risk without sacrificing confidence in data accuracy — essentially remodeling your existing infrastructure. This approach can be smart and cost-effective if the goal is to see immediate gains on efficiency and ROI. In recent years, the common theme around the “renovation” approach has been focused on the front end for a modern, fresh consumer portal. But mortgage companies with strategic long-term thinking are also examining their options more holistically to improve the end-to-end mortgage experience for both borrowers and employees… because conventional wisdom tells us if you only replace the faucet but keep the old pipes, your kitchen is still not functioning well. 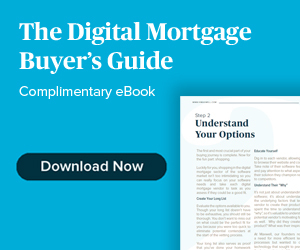 Whether mortgage companies choose to build, buy or renovate to implement the next-gen mortgage experience will depend on their strategic objectives, resources and timeline. Whatever approach is chosen, one thing is for certain: As competition grows more fierce and the industry experiences consolidation and layoffs, now is the time to invest in the future. Those who make the decision to automate and invest in the right technology will gain a competitive advantage and will thrive. Who Cares About The Digital Mortgage Anyway? Finicity, a provider of real-time financial data aggregation and insights, has an integration agreement with Capsilon, a provider of intelligent process automation software for the mortgage industry. Under the agreement, Finicity’s Verification of Assets (VoA) solution has been integrated into the Capsilon platform to improve the speed, user experience and economics of the mortgage process. Finicity’s VoA solution provides bank-validated insights into borrower assets, enabling reports to be generated in only minutes. 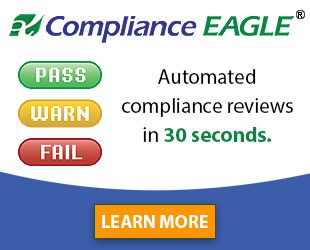 The solution reduces fraud, frees up resources, shortens time to close and is now integrated with Capsilon borrower and loan officer workspaces to automate asset verification. This further streamlines the loan application process — borrowers no longer need to search for bank statements, and loan officers have more time to focus on higher value activities, such as getting more loans. Capsilon builds intelligent tools that transform the way mortgage companies work. The end-to-end platform uses data and AI to automate manual tasks and enable better, faster decision-making. Both Finicity’s asset and income solutions are delivered under the CRA framework, which allows borrowers to directly obtain information on reports or submit disputes. Finicity’s status as a registered CRA is a symbol of its commitment to safeguarding consumer privacy and dedication to the mortgage lending space. Finicity is an authorized, integrated provider of asset verification reports within Fannie Mae’s Desktop Underwriter (DU). This gives lenders a validated asset report through Fannie Mae’s Day 1 Certainty initiative. 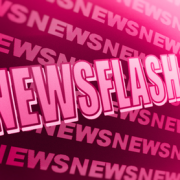 Finicity is also part of the Single Source Validation (SSV) pilot, meaning Fannie Mae will utilize transaction data from Finicity reports to validate assets, income and employment. A broader rollout of SSV is planned later this year and will build on Fannie Mae’s Day 1 Certainty initiative. Finicity is also an authorized Freddie Mac asset validation report provider, and Freddie Mac and Finicity are working together on new methods to validate income from payroll deposit data from bank statements. Capsilon has launched Capsilon IQ platform and Capsilon Data Audit app, and the rebrand of DocVelocity. More than 160 mortgage companies rely on DocVelocity for mission-critical business operations, and 15% of U.S. mortgages touch the system each year. Mortgage companies are under increasing pressure to deliver faster, easier mortgages at a time when margins are at their lowest point in years. Companies who want to compete need to evolve their businesses and transform how they work. To meet this need, the company is expanding the Capsilon platform to harness new technologies that drive this evolution. Capsilon IQ is the platform at the heart of the next-generation mortgage operating model. Formerly known as DocVelocity, Capsilon IQ evolved from enterprise-wide document management to an end-to-end mortgage automation engine. It combines Intelligent Process Automation with patented data recognition and extraction technology to create efficiencies at every stage of the mortgage lifecycle. Capsilon IQ enables users to create intelligent work experiences that make people more productive and existing systems more powerful. Capsilon IQ: Docs & Data Edition includes all of the features of Document Edition, plus a new set of tools to help mortgage companies do more with their loan data. It includes Capsilon Mortgage Data Management, a data repository that companies can use to power their mortgage business. The platform absorbs millions of data points from documents and digital sources, standardizes them into a consolidated record for each loan file. With Mortgage Data Management, companies can ensure data integrity across all business applications. A major pain point for many of customers is the dreaded ‘stare and compare’ process that frustrates staff and takes up valuable time. Capsilon’s new Data Audit app frees up staff time spent searching for docs and data. It provides a single place to see and compare data across sources, including the LOS and supporting documents. Capsilon Data Audit flags data mismatches for review so staff can instantly spot where supporting documents and data don’t match. Capsilon Data Audit boosts data integrity and drives productivity gains across functions. Q: Some say innovation has to be sweeping change. Others say innovation can be incremental change. How would you define innovation? MICHAEL KOLBRENER: At PromonTech we are very careful with the word “innovation”. While we strive to be innovative, whether or not we succeed isn’t our call, but our clients’ and the market’s. At the end of the day, innovation is in the eyes of the user. And innovation can manifest itself differently; it can be a “big bang” like Apple’s iPhone, or it can occur more gradually and quietly like Internet availability. Fannie Mae and FormFree are great examples in our industry of how significant technology opportunities require time in order to be realized. Day 1 Certainty is destined to be a game-changer, but adoption may take time. Just like it took time for the amazing tools in FNMA Desktop Underwriter to be appreciated. As technologists, it’s our job to celebrate the important technology opportunities and help our user communities keep working on adoption. JOHN PAASONEN: Innovation, especially in our industry, takes many forms. Innovation pushes forward a process, changes a mentality, or reforms the way something is thought about or done. We’re seeing all forms of this in mortgage, whether it is Day 1 Certainty, upfront underwriting, or shared-equity financing. The best kind of commercial innovation sweeps people along with the change in the present, not 10 years from now, bringing actionable ideas to market quickly, iterating those ideas, and ultimately delivering meaningful impact to the experience, P&L or relationships in a business. PHIL RASORI: Traditionally, I would say that innovation in our industry has been more of a gradual, step-by-step approach with new products, services and enhancements being launched as vendors identified demand and areas for improvement. However, the introduction digital mortgage movement, which has been rapidly building over the past few years has been sweeping, with an array of fintechs and new ideas being spawned to build a better overall lending process. The trick now is going to be the rate of borrower and marketplace adoption of these new technologies. Think about this: even adoption of now comfortable mainstays such as online shopping with Amazon or online trading with Schwab didn’t happen overnight. Adoption took time, and it will in the mortgage space, too. GARTH GRAHAM: At STRATMOR, we see the innovation as a combination of People, Process and Technology, a variation on the classic 3Ps of People, Process and Product. You can have innovation that applies to any of the three, but it’s best is when it’s applied to all three together. In fact, that was a key message in my presentation at the most recent MBA Technology Conference — that changing across people, process and technology is what drives big changes. SANJEEV MALANEY: I would describe innovation as significant positive change resulting from fresh thinking that creates value for its user. It’s a result. It’s an outcome. It’s something one works toward. There are no qualifiers for how groundbreaking or world-shattering that something needs to be, only that it needs to be better than it was before. Innovation is evolutionary, not revolutionary — like Einstein’s theory of relativity. KELCEY T. BROWN: At WebMax, we believe that innovation means identifying a problem and coming up with a unique solution. Whether it be sweeping or incremental, that unique solution changes things for the better. Innovation, especially in mortgage technology, has been defined by streamlining processes, reducing operating and origination costs, and delivering a better borrowing experience. ADAM BATAYEH: For us, it’s all about progress. Almost any amount of progress will do no matter how incremental the change is. If you create something that is cool and trendy but doesn’t necessarily push things forward in a way that betters people/process/industry, that “innovation” was more novelty than anything and will likely find itself extinct. So in terms of impact, the amount of impact/progress isn’t as important because of all that happens downstream that we may not see immediately. You could make an incremental change that has monumental implications years later. In our space, it’s sort of like the butterfly effect. LUKE WIMER: Innovation is the achievement of a consistently better outcome for time invested in an activity. I think creative problem solving needs to be encouraged, so we need to think of it as incremental change, and then allow for sweeping change to be the aggregation of persistent innovation. In our industry context, we might refer to the ability to electronically sign a mortgage as an innovation and the ability to digitally process a mortgage end-to-end as the sweeping change we are all driving toward. Innovation is also often the result of fostering a culture of continuous improvement. In our company, we set long-term aspirations, then we ask everyone to set improvement or innovation goals for the next quarter or half year. We don’t specify how to improve; we don’t want people to be constrained. Then we measure results, talk about what happened, and set goals for the next round, rewarding examination and striving rather than hitting the target itself. The pace of creativity is increasing as people get comfortable taking risks. NEIL FRASER: Innovation, in most cases brings incremental change. Over time many incremental changes bring about what can appear to be sudden sweeping change. As the mortgage industry moves towards the sweeping change being called the Digital Mortgage, many innovations have been, and continue to be tried and tested. This is the necessary process for moving an entire industry towards a significantly different model. At Paradatec, we are continuing to innovate in an effort to support the industry’s long term move towards a more efficient and accurate process for originating, servicing, and auditing mortgage loans. More specifically, we define innovation in our particular niche as “the application of artificial intelligence to the problem of document recognition”. This could mean the creation of a new, more automated, document classification solution for a servicing world where scanned images of documents, that were originally paper, are still key, or it could mean the creation of new recognition capabilities for e-signed documents that never were paper. Regardless of the application, we at Paradatec are committed to an ever-expanding document recognition stack that covers origination, servicing and auditing mortgage loans. Q: How would you define the state of innovation in the mortgage industry? Is it thriving or in a state of decay? MICHAEL KOLBRENER: The mortgage industry is in an unprecedented phase of technology adoption. There is no doubt that Rocket Mortgage deserves lots of credit for truly introducing the “Internet” to the mortgage industry. Rocket has shown all lenders that technology is an integral part of the future of mortgage originations. Additionally, we are seeing lots of new technology companies competing in the mortgage space (including PromonTech!) We’re just beginning to realize the many opportunities to improve efficiencies. JOHN PAASONEN: Twenty four months ago, my answer may have been different. But today, it is a thrill and a privilege to participate in the transformation occuring in the mortgage industry. For nearly a decade — in the wake of the financial crisis, the passage of Dodd-Frank, the creation of the CFPB, and major regulation like TRID — investment dollars were poured into compliance, not advancement. I’m incredibly encouraged by the increasing openness to the work of many innovators, from both inside and outside the industry, to incite progress. Innovation is alive and needs to be spurred forward. 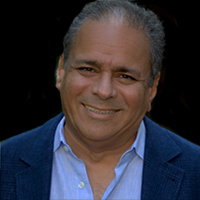 PHIL RASORI: Post the mortgage crash and subsequent introduction of a myriad of new rules and changing regulations with Dodd-Frank and enforcement by the CFPB became a huge concern and instantly drew everyone’s attention to compliance adherence, which arguably distracted from technology innovation. Now more than ever, the mortgage industry is on a fast-track to achieve far-reaching changes via new technology, which is being fueled by anticipated demand for borrower automation and lenders’ positioning themselves to remain competitive, thus driving innovation across the board. We’re not only thriving right now, but some say we’re drinking from a firehouse. Again, adoption will be key to these innovations becoming reality. SANJEEV MALANEY: The industry is ready for innovation and we’re starting to see major transformation impacting the end-to-end mortgage process. New companies are flush with venture capital. Lenders are funding innovation centers using their own capital investments. People from outside the industry with diverse sets of skills and experience are being hired to drive this transformation. We’re going to see more innovation in the next twelve months than we’ve seen in years. KELCEY T. BROWN: Innovation in the mortgage industry is thriving thanks to the continuous flow of new ideas and products, and growing interest in technology from lenders. We’re seeing point-of-sale products become more intuitive and borrower-friendly, and financial data retrievers’ rules engines making loan processing faster and more efficient. Lenders’ interest in digital mortgages continues to grow as today’s home buyers lean more and more toward a digital borrowing experience. That said, a great deal of the industry still needs to transition to digital mortgages. Growing interest, paired with a sizable unaddressed market, makes a perfect storm for thriving innovation. As much blame is put on regulation for technical stagnation, we like to thank it. It put our backs against the wall and forced companies to make major changes that they couldn’t handle or weren’t willing to take on. It led to that consolidation, and most importantly, it led to massive amounts of investment in what we like to call “foundation over feature” and that has helped increase transparency, accountability, and more. It’s what laid the groundwork for all the innovation you are seeing today. ADAM BATAYEH: Innovation is thriving, thriving, thriving. If this were 2013, the answer would have been massive decay. The thing is, that decay was necessary and led to all of the innovation we are seeing today. NEIL FRASER: Innovation in the mortgage industry is definitely thriving today. For the last twelve years, we at Paradatec have focused on building our mortgage technology through advanced OCR using artificial intelligence and an ability to learn over time and provide increasingly more significant innovations. In the last twelve years, we have not only increased our ability to innovate, but have further greatly accelerated this ability to innovate from our partnerships and integrations with others in the industry. This is a trend we expect to continue for years to come. GARTH GRAHAM: I think that innovation is truly accelerating, but too often people define innovation as simply technology. They think the next software product, the next shiny object will transform their business. At STRATMOR, we often see companies with good people and good process being able to overcome substandard technology, but rarely do we see a company with great technology that can overcome poor people or process. This does not mean tech is not important, in fact I believe that we don’t spend enough on technology — but if you don’t have the people and process lined up to implement change, then the technology alone will not drive the results you seek. 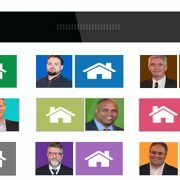 Q: Lastly, if there was one innovation that you would say the mortgage industry desperately needs to happen over the next twelve months, what would it be? MICHAEL KOLBRENER: All of us, in lending, need to evangelize the potential of technology and encourage our user audiences to understand the role it can play in the future of originations. Over the next 12 months, we need to keep pushing data providers to make applicant data more readily available, particularly around income verification (and tax supporting docs). At PromonTech that’s where we believe that next big breakthroughs will come. JOHN PAASONEN: We’re just beginning to see the early signs of moving beyond “digital paper.” Over the last 10 years, the mortgage industry has largely taken a paper-bound process and digitized it. A loan application acted much like its paper counterpart, just with the ability to type answers, for example. In the next 12 months, regulators, lenders, investors and innovators need to continue to push forward with initiatives to all-together remove the tremendous burden on borrowers, loan officers, processors, appraisers and others created by our legacy of paper-driven process. The winners will be those who realize first that data availability and fidelity is too rich, and computing power too strong, to be ignored. SANJEEV MALANEY: While we have witnessed significant innovation over the past year, there remains a series of key friction points that must be addressed for the mortgage process to truly be reinvented. Perhaps the most critical enabler in our space (not unlike other verticals) is the use of data, and by extension, how to extract insights from that data to make faster and better decisions, which is where Capsilon is focusing its innovation efforts. It is worth noting, however, that while “big data analytics” has suddenly become a go-to catchphrase for many in our industry, our own experience in the space suggests that the challenges associated with implementing and realizing value from big data are more subtle. For the past 14 years, we’ve been helping clients collect, validate and leverage the data to drive automation and improve productivity in the mortgage process. Those who succeed will master the harvesting and delivery of relevant data at the right time so every user (borrowers, LOs, underwriters, processors, closers) in the loan process are provided the information and tools they need when, where, and how they need it to remove friction in the loan process. KELCEY T. BROWN: Faster adoption of digital mortgages. The faster lenders adopt digital mortgages, the better off their business will be, from their balance sheet to borrower satisfaction. It is evident that through technology, lenders can close loans faster, with more efficiency, for a better cost. At the same time, that boosted efficiency means borrowers get in their homes faster and are more satisfied with their mortgage experience. Real estate agent satisfaction grows as their listings get filled and closed faster as well, which can boost referrals. Imagine that your company waited to adopt email, how would that have worked out? ADAM BATAYEH: To use our internal phrase again: foundation over feature. It seems that everyone is racing to be first with the next big thing and it’s very tempting to follow trends. At the same time, it can confuse lenders and can make it harder on them to make a decision. We can create all the new features we want, but if they’re hard to integrate and implement, we’ll find ourselves pigeonholed. An example I can give is Windows vs. Mac OS and their respective web-browsers. The Operating System was the “foundation” and the web-browsers were built as “features”. Buy the OS, get the browser for free. The browser would work flawlessly with its respective OS. Google Chrome came out of nowhere as it’s “foundation vs. feature” priority was the reverse. Knowing the future was in the Cloud, they built an agnostic browser, which resulted in Windows and Mac users collaborating in a new way. As Microsoft and Apple built browsers that were feature-focused and complimented their foundational Operating Systems, Google was busy playing the agnostic game and with Chrome has quickly emerged as the leader. LUKE WIMER: There are so many different needs. 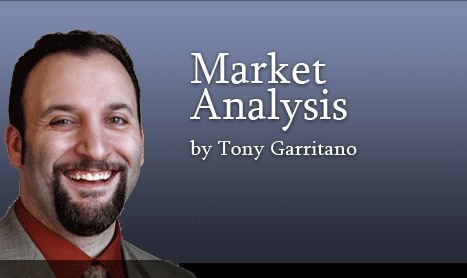 I would like to see clarity on where federal regulators are headed. I would like to see some of this mortgage application automation technology make its way further into the loan origination process. We appreciate the need for increased security and rigor in vendor management, and are pushing for increased acceptance of SaaS and the tools many of us are making available to offer plug-in solutions. I believe it will be a collection of innovation and providers, which will be needed to really transform. It is a resilient sector that rolls with the punches, and is complex enough that no single innovation will win or solve the problems of every player. Therefore I am glad there are many of us working on improvement from different angles. NEIL FRASER: Accurate data which reflects the terms, borrower, lender, and property information from Mortgage loans’ source documents will continue to be a critically important requirement. As a result, there will continue to be a need to audit the accuracy of the data as it relates to the legally definitive required source documents. As loans and their servicing rights are passed from investor to investor and servicer to servicer, a more efficient process for efficiently and accurately onboarding these loans as these transactions occur is desperately needed. 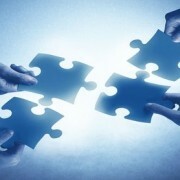 At Paradatec, we are continuing to innovate and this need is one of major focus for us in the coming year. GARTH GRAHAM: So, there certainly has been a significant amount of technology innovation at the point of sale — dynamic applications are more commonplace. I think it’s what occurs BEFORE the application that is critical for the next year. The reason is that we are pivoting to a heavy purchase market — only 25 percent refinance — down from roughly 50 percent refinance (or more) for the past 20 years. This is a MAJOR difference and will really stress originators who are not equipped to handle purchase opportunities. At STRATMOR we have a methodology of creating a digital roadmap for lenders, and we often find that they are not adequately valuing the tools that are required prior to application. We refer this to Lead Engagement — the ability to interact with purchase consumers across multiple touch points and for longer periods of time. We also feel that price competition will become more acute going forward. Thus, we think innovation needs to tackle the functions that typically are considered CRM functionality — managing customer interactions over long periods of time — as well as presentation to clearly show what customers are going to pay for their mortgages. Also, we think that there is going to be a lot of industry consolidation, both for mortgage origination companies and for the technology vendors that support the lenders it. At STRATMOR we are active in M&A and have never been busier with lenders looking for strategic alternatives, and with buyers who are well positioned for the future, and are actively looking to acquire other entities to gain market share during this difficult period. 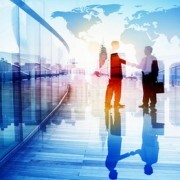 Vendors are finding a similar climate, and some smaller vendors are seeking capital partners. New capital is entering the market to acquire additional technology capabilities. PHIL RASORI: I hate to use what many feel is an over-used term these days, but acceptance of the “digital mortgage” and what it encompasses will be key to much of what is to follow. We are seeing that successfully be streamlined right now at the point-of-sale for borrowers. Digitization of the secondary market is also picking up speed, which is what we at MCT have been focused on. Technology integrations are essential for lenders to keep systems operating in real-time, while automation is streamlining processes. Digital whole loan trading is revolutionizing the loan sale process. 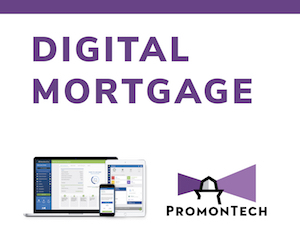 Embracing the digital mortgage at every step in the process is helping lenders to increase efficiency and profits.